In an article written on 10 December 2014, Ken Whelan writes in the Irish Independent Farming section that the options have never been as diverse for students planning to pursue agricultural courses at third level. Some healthy competition has emerged between UCD and WIT for farming students, with the southeast college having launched a Level 8 agricultural course which competes directly with UCD. 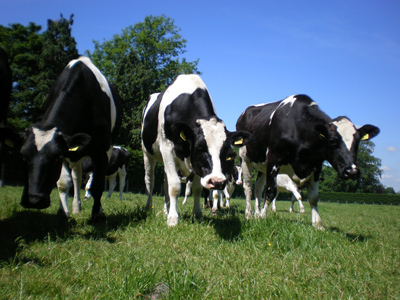 UCD has traditionally been viewed as the powerhouse for agricultural studies. However, WIT also has a track record in offering Level 7 agricultural science courses, with many moving on to UCD to complete their studies. But the bold move to offer Level 8 degrees has certainly created competition for undergraduates. A David and Goliath struggle in academia? "Not really," said Waterford IT course designer, Michael Breen. "I think of it more like a match between Waterford United and Shamrock Rovers," he jokes. However, whichever way the new rules of engagement between academic friends are interpreted, the fact that Waterford IT - which caters for 400 students doing various agri courses at any given time - can provide a complete third level agriculture science education to students in the southeast is a positive development. It is particularly so given the increased competition for ag courses over the last few years. "It's hard to believe that the points required for agricultural courses five years ago were just over 200 and today they are over 400. No matter what way you look at it a Leaving Cert with over 400 points is a good Leaving Cert and there is no indication that the points needed for agricultural studies in the years to come will decline,'' Mr Breen told the Farming Independent this week. So how did the Level 8 course come about? "Traditionally our students completed their studies in UCD or in Scotland which didn't make sense to our stakeholders or the many big local agricultural giants like Glanbia and Dawn Meats," he said. "And there is a huge cohort of students interested in agricultural studies in the region and it was becoming more expensive for our students to complete their education in Dublin or elsewhere mainly due to the high cost of accommodation, which shows no sign of decreasing." The Level 8 course has been in development for the past two years at Waterford and today the college can offer the full academic programme. Underpinning the academic aspects of the education on offer is Waterford IT's close relationship with Teagasc's Kildalton College. This provides the student body with vital on-site farming and farm infrastructure training for students. The southern college can also boast new academic staff like Dr Siobhan Walsh, a former UCD animal science and reproduction expert and Tony Woodcock, a bio-system engineer. Other lecturers include John Geraghty, the tillage expert, and Mike Walsh who covers the dairy aspects of the various educational modules. This year there are 40 students up and running on the Level 8 course which requires a Leaving Cert points entry of 430. When the course is fully developed Waterford expect 100 students to be studying across the four years of the course. The situation, of course, could change. The strong performance of farming through the last five years of recession has been reflected in a surge of interest in agricultural science and agri-related courses. But with the latest downturn in the fortunes of farming, and poor returns expected for the coming year, will the flood of students into ag continue? No one really knows. For the moment it is all systems go for Waterford IT; but in four years time it will be interesting to read the scoreline between Waterford United and Shamrock Rovers.